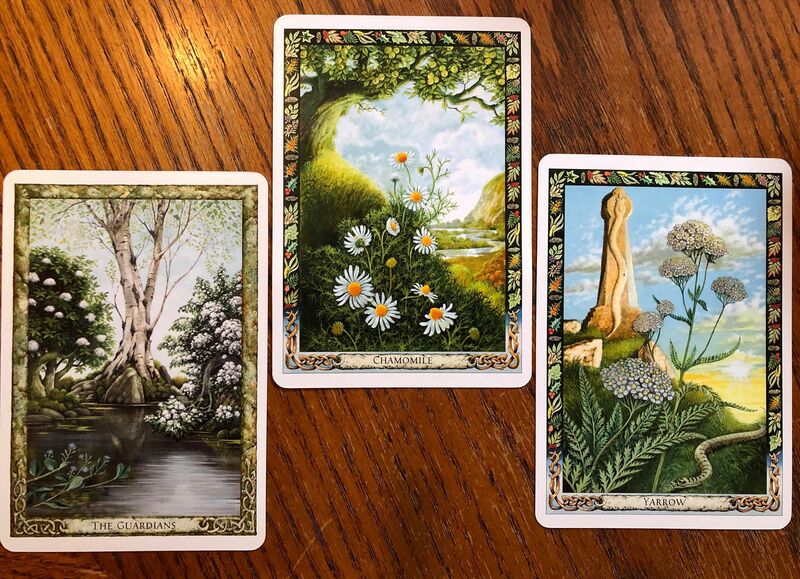 We have the main card as The Guardians (see below) and then we have Chamomile and Yarrow, both important plants in herbalism and symbolically. What does this combination mean to you? The card who’s a Birch tree growing between and Elder and a Hawthorn. The three trees act like guardians of the sacred pool, in which we can see Brooklime, also know as Water Pimpernel. This may be the mysterious Samolus revered by the Druids, according to Pliny. Meaning: If you have chosen this card, it may indicate that a situation or relationship which seems to be in difficulty can be preserved and strengthened if action is taken. Sometimes, if there is no expectation of a “quick fix,” a problem can slowly be turned around over a period of time by a number of – quite possibly – small adjustments. The three Guardians act by gradually strengthening the key organs of the body. Similarly, if you take actions to strengthen the specific areas of a relationship, this will, in time, affect every part of it. Rather than focusing on areas of weakness between you, identify where you do connect well, and try to build on these. Long-term relationships need healthy “immune systems” that can cope with the inevitable stresses that arise between two individuals. This card also reminds us that plants sometimes work best when they are given as a remedy on their own, and sometimes in combination with other plants. If you have chosen this card reversed, it may indicate that you are being called upon to work in a group. Your independence might feel threatened, but is is likely that the synergy generated as a team will be far more effective than if you were to continue to work alone. Alternatively, the card may suggest that you need to have the confidence in your abilities and trust in life to slow down and not take on every offer that is made to you. We often find ourselves rushing through life, anxious that if we stop nobody will want us. Generally this not true, and by slowing down or pausing we give life a chance to show us new directions. 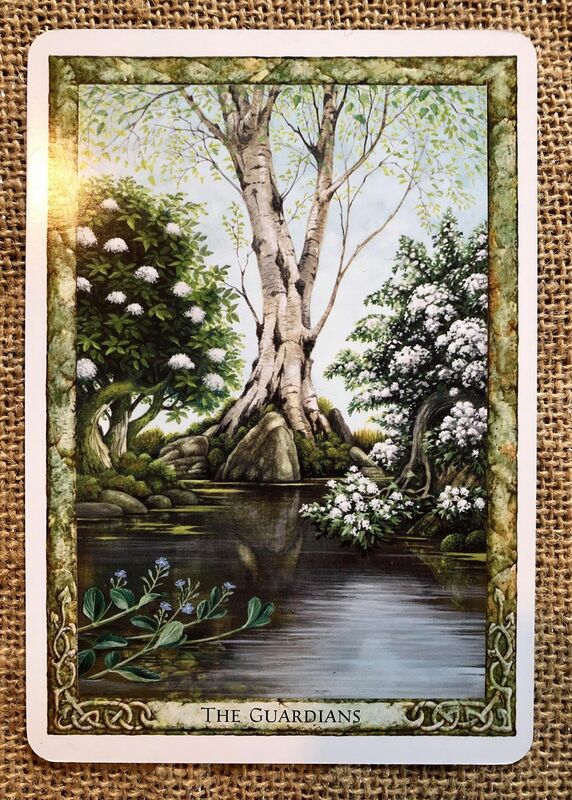 The Druid Plant Oracle by authors Philip and Stephanie Carr-Gomm and artist Will Worthington.